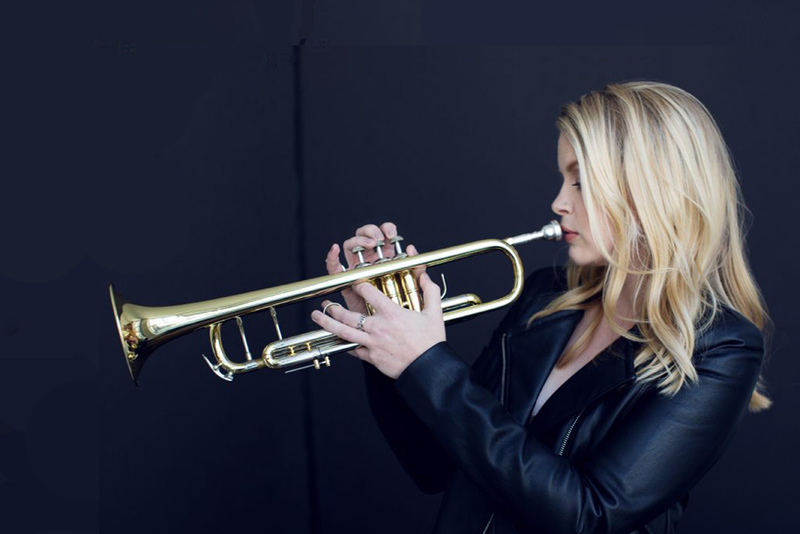 New York-based Canadian singer, trumpeter and songwriter Bria Skonberg has been described as one of the “most versatile and imposing musicians of her generation” (Wall Street Journal). Recognized as one of 25 for the Future by DownBeat Magazine, Bria Skonberg has been a force in the new generation with her bold horn melodies and smoky vocals, and adventurous concoctions of classic and new. Noted as a millennial “shaking up the jazz world,” (Vanity Fair), Bria Skonberg has played festivals and stages the world over, including New Orleans Jazz & Heritage Festival, Monterey Jazz Festival, Newport Jazz Festival, Montreal Jazz Festival, and over a hundred more. She recently performed the Star Spangled Banner at Madison Square Garden for an NHL game. Originally from the small town of Chilliwack, British Columbia, Bria studied jazz and performance at Capilano University in Vancouver while balancing a full road schedule with two bands. After graduating, she traveled extensively, performing in China and Japan and throughout Europe. When she wasn’t traveling, Bria was honing her chops with Dal Richards, Vancouver’s King of Swing. Playing BC Place Stadium at the 2010 Winter Olympic Games in Vancouver capped off this exciting period, with Bria featured at the Paralympics opening ceremony for over 50 000 people. Seeking new challenges, Bria moved to New York City in September of 2010. Upon arrival, she went to jam with friends in Washington Square Park and an hour into playing world-renowned trumpeter Wynton Marsalis stopped to listen. He gave her a thumbs up. In 2012, Bria released So Is The Day (Random Act Records). 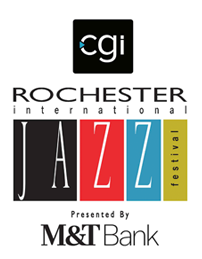 That collection showcased a developing flair for original songs and new takes on standards with notable players like Wycliffe Gordon, Victor Goines and Ulysses Owens Jr. and included a duet with John Pizzarelli. So Is The Day received rave reviews from critics; “while tipping a hat to tradition, [So Is The Day] appropriately pushes Bria Skonberg to the forefront of today's musical talents” (All About Jazz). In 2015, following her second album Into Your Own, Skonberg received the distinguished Jazz At Lincoln Center Swing Award. Further accolades include Best Vocal and Best Trumpet awards from Hot House Jazz Magazine (2014-15, 2017), Outstanding Jazz Artist from the New York Bistro Awards (2014), DownBeat Rising Star (2013-17), and a nominee for Jazz Journalists Association Up and Coming Artist (2013). Bria signed to Sony Music Masterworks’ OKeh Records in 2016 and released her debut LP, Bria, which won a Canadian JUNO award and made the Top 5 on Billboard jazz charts. She collaborated again with producer Matt Pierson, as well as multi-Grammy winner Gil Goldstein, for her second Sony album, With A Twist, released May 2017. Her music has garnered over 6 million streams online. She is an avid educator and supporter of public school opportunities, giving numerous workshops and concerts for students of all ages. Bria has been a faculty member at the Sacramento Traditional Jazz Camp (2008- present), Centrum Jazz Camp, performs outreach on behalf of Jazz at Lincoln Center and co-founded the New York Hot Jazz Camp for adults in 2015. She is currently working with the Louis Armstrong House Museum to develop educational activities and is the co-founder of the New York Hot Jazz Festival.